Ready for a healthier, happier dog? If you’re looking for a professional and trustworthy dog walker, call today to schedule a free consultation. I’d be more than happy to meet with you and your pup(s) to discuss your needs and make sure we’re a good fit. 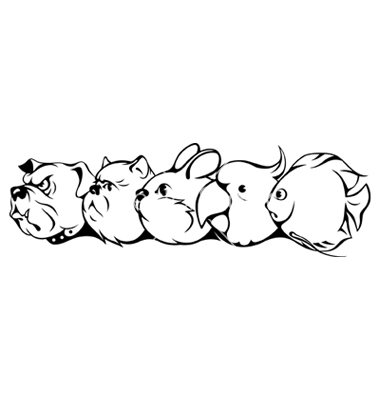 For the most part, once your pet is eatablished into a “pack,” the members will be kept relatively consistent. I can’t promise that their furry friends won’t move to another city, take a sick day, or change their schedule, but I’ll always do my best to keep your pup happy with their walking buddies. A sense of routine and unity can greatly help your pup make fond memories. Every adventure lasts 2 to 3 hours, between pickup, a 60-minute workout and drop-off. This gives us plenty of time to hit one of our favorite trails. We’ll mix it up to prevent boredom and able to investigate new terrain, but focus on the places the pack likes best. I select only locations that are safe, clean and provide plenty of shade on hot days. I transport dogs safely in a clean, air-conditioned and well-maintained vehicle, using crates or harnesses to keep your dog secure. I carry water for our own use (and avoid public water facilities) towels and wipes to keep clean, and a first aid kit….. accidents happen. Your pup must be at least 6 months old to join our adventure groups. All dogs must be spayed or neutered and up to date with current vaccinations, no exceptions. I reserve the right to refer you to another service if your dog’s play style does not fit in with the pack, or if behavioral issues develop that prevent your dog from getting the most from the experience.